Walt Disney World complaints number & email. We went in 2/2018. Many things were out of order; being worked on - no discount. The Haunted Mansion kept us waiting 2 hours and ended up broken down and all we got was a fast pass for another day. We didn't have another $100 per person for another day. This is rip off and I will not go again. The fast pass is a rip off. Just have enough rides to not waste your money!!! 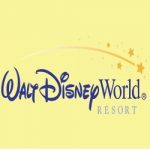 Get verified information about Walt Disney World complaints email & Phone number. If you wish to make a complaint to Walt Disney World, the company has various methods to choose from including a complaints line on 1 (407) 939-5277, email, post and live web chat on their website. There are a range of help facilities to help resolve any problems with the service. Walt Disney World provide very comprehensive help, support and complaints handling through the ‘help and Support’section of their website including a complaints number on 1 (407) 939-5277. The Walt Disney World Resort, commonly known as Walt Disney World is an entertainment complex. Opened on October 1, 1971, the resort is owned and operated by Walt Disney Parks, Experiences and Consumer Products, a division of The Walt Disney Company. Hopefully, We helped you to get some genuine records for Walt Disney World Complaint information. Use below complaint form to discuss problems you have had with Walt Disney World, or how they have handled your complaints. Initial complaints should be directed to Walt Disney World directly. You can find complaint contact details for Walt Disney World above.